I wrote this article to be a definitive list of the top reasons you should consider using Power BI in your organisation (in case you haven’t already made the decision to do so). In fact there is only one thing that worries me about this list, and that is I think many people may be sceptical and think “this is too good to be true”. But I faithfully and honestly believe every bit of the story is true. In the future I think there will be those that moved early and quickly to adopt the new approach and are leading from the front, and there will be those that couldn’t, shouldn’t, wouldn’t, and got left behind in the dust. But to be fair, one of the biggest issues a company can face is when it has large financial investments in legacy BI solution. If that is you then the good news is that you don’t have to dump what you have to get started with Power BI as a self service BI tool. And if Power BI is a raging success as a self service tool then you have effectively hedged your bets by starting small and then (hopefully) scaling quickly when the business case supports it. Strap yourself in – here are my top 30 reasons you and your company should be considering Power BI as a self service and/or enterprise BI solution. Microsoft hasn’t always been great at listening to specific customer concerns, but it has always been great at building and delivering world class robust commercial software. Power BI is part of that heritage but better, for all the reasons I cover in this article. When I say “the new Microsoft”, I am talking about Microsoft under the leadership of Satya Nadella, and when it comes to Business Intelligence I am talking about the changes brought about under the leadership of James Phillips. Both of these first class leaders have brought change to Microsoft like you have never seen before. Who would have thought that SQL Server would ever run on Linux – well it does now. Who would have thought that Microsoft would ask its customers what was important and then prioritise these things for the new tools? Well it does now. Do not under estimate the importance of a power house like Microsoft as the owner and developer of Power BI. Microsoft has deep pockets and it knows how to win with business. I personally wouldn’t want to be competing in this space against Microsoft in the next 10+ years. Power BI is a green field product but it has an enormous heritage. Microsoft has been one of the most successful companies out there in the BI space leading with SQL Server Analysis Services Multi Dimensional and to a lesser extent with Microsoft Excel. When it came time to leverage the new Column Store database technologies to build Power BI, Microsoft called on its crack expert SSAS team to build the DAX engine (Vertipaq) for Power BI from scratch leveraging the skills, knowledge and experience of a pedigree race horse. It is unlikely that a stand alone company could start from scratch like Microsoft has and hit a home run first batter up. Just as Vertipaq has been built from scratch using new technologies but with a pedigree, Power Query (the self service ETL tool – Extract, Transform and Load) has also been built from scratch. But once again Microsoft has wheeled in its crack SQL Server Integration Services (SSIS) team that has a long and successful heritage of successful ETL software development. Do not under estimate the benefits of getting this part of the puzzle right the first time, and Microsoft has already proven it is winning in this space. Most of the major data providers are already built and deployed in production. There is also a “catch-all” ODBC database connector and there are new (less main stream) connectors being developed all the time. In addition there are many cloud based connectors that allow users to easily connect to cloud content like Google Analytics, SalesForce.com, and lots more online software service providers. Vertipaq (the data modelling engine in Power BI and Excel) is a highly compressed and performant columnar database. It uses modern tabular database technologies (built from scratch) to create a highly compressed database that loads fully into memory for rapid performance. It is not unusual for a database to compress between 600% –1200%, meaning a 1GB database will compress down to an operating size of between 85MB – 170MB. The performance impact of this compression is amazing and it needs to be experienced to be believed. There is no baggage to take along for the ride here – no sign of Silverlight for example. Microsoft has built a brand new HTML 5 compliant visualisation engine that is simply awesome. Everything (virtually everything) will slice and dice and cross filter everything else (as shown below). If you can see a map of your country showing sales by region, then click on the region to see the underlying details. If you can see a bar chart that show performance by year, then drill down on the bar chart to see the monthly, weekly or daily breakdown. Everything is intuitive and simply works. Gone are the days when you needed a specialised IT report writer to create every new report for the business. Anyone that can create a chart in Excel can create a chart in Power BI (and probably some people that can’t create a chart in Excel too for that matter). Unfortunately for professional report writers, I simply don’t see this role existing in the future as it will be the business users that build what they need. Microsoft has realised early on (under that strong leadership mentioned earlier) that it can’t solve world peace on its own. Microsoft has be focused with its efforts so rather than try to solve every visualisation problem for every company around the world, it decided to share its visualisation source code so that any capable developer can develop their own visualisations and share them with the community. Developers can either copy an existing visual and extend it, or they can start from scratch and build something completely new. It is amazing the quality of what has been delivered already and the party hasn’t even started yet. You can see all the current custom visualisations here. This is self service BI at its best. Who else can design the UI for the business user community better than the company that built and owns Excel? So while it is relatively easy for Excel users to get started, it is not Excel. Microsoft has brought the rigour and structure from SQL Server Analysis Services into this product to ensure that it is a Self Service BI Tool with Enterprise strength features, including row level security, active directory integration etc while it is still familiar enough to Excel users that they can and will embrace it. I can hear a few companies cringing at this point as they think about the BI shelfware they have spent literally million$ on and is not being used. Like it or not, the world is moving to the cloud. This product was built from the ground up with the view of sharing via the cloud. It uses all the modern HTML5 coding techniques to ensure compatibility with browsers across any platform. It has industrial strength security wrapped around the cloud presence and it is definitely secure – Microsoft’s reputation is on the line here. I realise it won’t work for every company, but frankly it will work for most. Of course do your due diligence, but then get on board. One of the benefits of starting from scratch is you have no legacy to carry around. Microsoft has built mobile apps for Apple and Android (and Windows mobile of course). Under the leadership of Satya Nadella Microsoft supports every platform and it no longer uses its brand strength in one product to try to force participation in another. The iPhone and iPad apps are simply great – did I mention they are free? You can read more about mobile apps here. 12. You can subscribe via eMail – but please don’t! I know, I know – some of you just want your static report to appear in your email inbox every morning. OK, Power BI can do that. You just go to the report tab you want to see, click “subscribe via email” and a nicely formatted PDF that is ideal for printing will be there in your inbox when you get to work. But please please think about using the mobile apps instead. These are sooo much better and have full interactivity. All you have to do is remember to open the app in the morning. At worst, subscribe to a report via email and when you see it in your inbox, simply open the app instead :-). Another benefit of building from the ground up is you can think about all sorts of issues when you design the architecture. Microsoft has always planned to allow Power BI to be embedded into custom apps. So if you want to build your own website and control user access via your own logon credentials, then that is fine with Microsoft. Just embed Power BI into your application and away you go. Same goes for mobile apps or anything else you can think of for that matter. There is a dedicated licensing agreement specifically built for Power BI embedded that makes the product financially compelling. Free to try and indeed free to use as long as you want. If you want to take advantage of more of the enterprise features including controlled sharing of data, automatic refreshes using gateways etc. then you have to pay – wait for it – a whole US$9.99 per month per user. It is enough to make the competition shiver in their boots! Power BI Desktop is free to use on the desktop for ever, and free for any user in the cloud as long as they are not using the features mentioned above. And frankly the professional features are hugely value adding so you really can see the benefits when you start to pass a small pile of pennies over to Microsoft. And it is at least as good (if not better) than Excel is in the BI space already – and it is less than 2 years old as a product. Do you think it will get better in the next 2 years? You bet your life (or better still your position as a corporate decision maker) it will! Anyone that can click on a button can interact with a Power BI report. It is intuitive and easy to learn for anyone that wants to consume the content interactively. The training costs of this product are low making the total cost of ownership very compelling. And that is before the product even gets used and helps users make decisions to drive business results. In addition Power BI is enabling self service BI to a new wave of “developers” from the business community with the Vertipaq engine. No longer is this the sole domain of an MDX programmer to develop a cube that can be used. There will still be a need for IT cube developers in many companies and of course they can now develop in Power BI, however competent Excel users can also now do the work too. Power BI has a language called DAX (Data Analysis eXpressions). This is a functional language that can be learnt by Excel professionals hence it doesn’t have to be the IT pros that do all the work now. And as a bonus, the DAX language in Power BI is also available in Power Pivot for Excel, so Excel users get to learn a new super language that they can leverage in multiple places. Power Query is so easy to use it is embarrassing to those skilled in SSIS. I am not saying that we don’t need SSIS developers any more as there will always be a need for this technology for large scale enterprise BI projects. But this is no longer the only robust Microsoft technology that is out there, and any capable Excel professional can learn and use Power Query. Power Query has a user driven interface that generates code (in the M language) to transform the data. The process steps are saved as a process and can be re-run over new data at any time. As a bonus, Power Query is also identical in Excel so you get to learn another language once that can be used in multiple places. Did I mention that Power Query is so much more than just a self service ETL tool. If you use Excel and you don’t use Power Query, you are missing out on something special. For the 2 reasons above (Vertipaq engine and Power Query), Power BI is self service BI personified. It is everything you want self service BI to be and more. Any competent Excel user can learn and use these tools and hence they can become semi self sufficient in their analytics and reporting needs very quickly. But just because Power BI is a very capable self service BI tool, that doesn’t mean that it can’t be an enterprise strength BI tool too – in fact it can be both at the same time. Power BI has the foundation of an enterprise strength tool and a self service capable tool all at once. And don’t underestimate the value in having ad hoc analysis and enterprise analysis capability shared and using the same underlying technology – everyone benefits from this. And what’s more I am fully expecting that in the future users will be able to extend deployed standardised enterprise Power BI reporting by creating user specific measures that allow additional add hoc analysis on top of the core (not here yet, but I can imagine it will come). Power BI is among other things a data source aggregator. It doesn’t matter where your data comes from or how/if it interacts with other data you care about. If it is data and you can report on it, you can include it in Power BI and pin your visualisations to a dashboard/cockpit where you can see everything you care about and nothing you don’t. And if you want more detail, then just click on the tile and drill down into the report. 21. Power BI gets better every day – literally! The Power BI service is on a continuous release cycle. As improvements are made they are released into the cloud service. Microsoft also needs to build parallel improvements to the mobile apps and to Power BI Desktop. The release cycles for these products are monthly rather than daily, however the pace is still incredible. Quite literally, today’s biggest complaint can disappear when you wake up tomorrow morning. You can read about all the latest updates from the official MS Power BI Blog. Power BI is less than 2 years old at this writing, however there are 10’s of thousands of users in the community that ask questions and help out other like-minded people. There are showcases demonstrating how people are already exploiting Power BI, and there are more than 100 user groups in the major cities around the world. Specifically with the user forum is not uncommon for people to get answers to their questions in minutes (if not a few hours) and the content of their questions remain on the web for others to learn from. And of course there are all the other community forums like http://powerpivotforum.com.au that provide help and solutions to users as well. Did I mention Microsoft has changed? Instead of building only what Microsoft thinks we need, it is asking the community what new features are most valued by the community. Anyone can sign up and create and/or vote for new ideas on how to improve the product. Of course Microsoft also needs to build out the foundation of the technology, but I regularly see highly supported features make their way into the core product…sweet! You can add your own suggestions or vote for another here. This sounds like a gimmick but believe me it is super cool and it works. You can type natural language questions of a well designed Power BI data model like ‘what were my sales yesterday by state?” or “how are bike sales trending vs last year?” and Power BI will give you its best effort to present the answer to you as a table, chart or what ever makes sense. If you don’t quite like the first response you can tweak the settings from the standard user interface. If you do like the report then pin it to your dashboard and see it updated every day forward. Believe me this is awesome. Oh and the mobile apps have just had an update that allows voice recognition Q&A, so you can literally ask your phone/tablet for some information and it will get the answer for you. Oh and it is integrated into Cortana on the desktop in Windows 10 too. There is a quick insights tool that will trawl through your Power BI reports (when you load them to PowerBI.com) and analyse the data for quick insights. When I used Quick Insights on the Adventure Works demo database it returned almost 50 interesting facts about the data in my report. The best BI industry joke I know is this (thanks Rob Collie). Q: What are the 3 most common buttons in any BI solution? But it really isn’t a joke – it’s true. One of the biggest problems BI vendors have with their products is that the business users simply are not familiar with and don’t want to learn a new tool. You can argue all you want that the users should go to training and learn the new tool, but let me tell you – they don’t/won’t do it. So what happens when business users users are under pressure and need that data quickly? They go into the expensive BI tool, grab the data and click “Export to Excel” and then do the manipulation and analysis inside Excel instead – you better believe it is true. Power BI has 2 killer advantages here over every other player. Firstly it doesn’t need to export to Excel, you just click “Analyze in Excel” and Power BI talks natively to Excel as if they were twins joined by an umbilical cord (this is literally true in fact). Secondly the look and feel within Power BI is so similar to Excel that many users will end up staying in Power BI rather than clicking Analyse in Excel anyway. Over time this we become more pervasive. The truth is that most businesses rely on PowerPoint to tell stories and hence integration between Power BI and PowerPoint is highly desirable by many. OK, PowerPoint integration is pretty basic today (you can just export reports to slides), but it works and it will only get better. There is already a third party product that will allow you to embed Power BI reports directly inside PowerPoint and this will allow you to interact with the reports live during a presentation. And the early L&D experiments Microsoft (called PowerView) had a strong PowerPoint integration allowing in-PowerPoint-presentation interactively with live reports – it just worked. There is no doubt native live integration of Power BI reports into PowerPoint is coming soon. Last and by no means least is that Gartner rates Microsoft highly for its completeness of vision and ability to deliver. Let there be no mistake here. This rating is largely driven by the excellent work Microsoft is doing with Power BI. Power BI gives you THE ONE VERSION OF THE TRUTH. With Power Bi you integrate all the data from the company into a single place where ALL the data of the company can be accesed and proccesed. All the data contained in the Excel spreadsheets that are the core of each department can be placed into Power BI so it can be analyzed and visualized. No more separate files … All of them are on the same place. I agree Vincente. The reason I left out a similar comment about this is that any BI solution will do that for you, as long as it is well deployed :-). So it isn’t really a unique selling point for Power BI like the other things in the list. Thank you Matt – cannot agree more! I would probably add the full integration of R: custom viz, stats, import/cleansing ! Definitely a huge asset. R! good point. I added it as 28, and then added Esri as 29 for good measure! – the full interaction with Microsoft Flow: real-time analysis, data alerts, sentiment analysis… without coding ! – the numerous content packs which can be a good way to start. Adoption content pack is awesome for IT departments who want to monitor Power BI deployment for example. I am not sure about point number 8. PowerBI is not a self service tool yet, as far as i can see Microsoft still position Excel as the self service tool by choice, and just to be sure we are using the same definition, self service means no need for IT. PowerBI desktop “potentially” can be the perfect self service tool, but Microsoft decided not to compete with Excel and throttled the product ( No Printing, Export is limited to 30 000 rows) , I know there are workaround, but they are hacks and can break at anytime. Hi Mim. Power BI is definitely a self service BI tool already. The only thing you need IT for in many companies is for them to give you access. Going to send this article to everybody i know ! thx !! my manager was open for any BI solution as long as it is desktop based, he is fine to pay for Tableau desktop, but I have spent a lot of time learning DAX and M, and i am not really impressed with Tableau. At least you have had a go, and won’t die wondering – that was the whole point of my article. If cloud is out of bounds, then yes there is not a lot you can do. If I were in that situation, I would just use Power BI Desktop and use that to demonstrate value. Hi Mim are you following on-premise support for PowerBI reports n(https://blogs.msdn.microsoft.com/sqlrsteamblog/2016/10/25/announcing-a-technical-preview-of-power-bi-reports-in-sql-server-reporting-services/) ? The CTP allowed me to upload PowerBI reports to SSRS. Like you a number of our clients will not use the cloud for their data. We deliver reports via SSRS. At the moment it is not clear regarding the cost of on-premise support for PowerBI reports or the final release date. From my research regarding other solutions eg tableau, pyramid analytics and others. Even if a enterprise feature only ( which l so hope they do not go down that route) this option would still be cheaper and IMHO have a better ROI. thanks Rob, yes i have install it in my “home” server:), not sure about the pricing as you said, Microsoft want everyone on subscription which is hard to justify if you have a lot of users, to be honest i am looking forward for SSAS vnext + Excel as a front end, the integration of Powerquery will make this enterprise solution approachable by non-IT business users , still if tableau manage to deliver their ETL tool, it will be a solid alternative too. It’s as if you are psychic Matt. 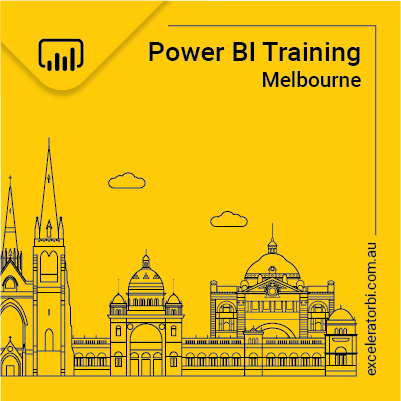 I include an appreciation of Power BI Desktop in some of the Excel/Financial Modelling training courses and every time I am about to run one of them, you post an article that everyone simply has to read. Here’s another one! Huge thanks for your efforts. Can we mention the following also? Power BI also uses the DAX Engine and ‘M’ Engine under the hood that facilitates Excel Power Tools Users to have a smooth transition to Power BI. This paves the path for Excel pros to become BI pros. The Query Editor, that facilitates data cleaning and data shaping interactively with the list of applied steps in the right panel is also an advantage. Great article Matt! I will share this round the office and it will help greatly with the Power BI sales pitch! I think the strength of Power BI (Desktop) is change. It evolves every month – with either a improvement to something existing or addition of something new. That way the users sees the same thing across platforms. Matt, Great list! For the power excel/pivot user, PowerBI/DAX is a natural step to the next level. I’m glad to see this product gaining some traction. 1. how do you see in-memory analytics support compare with Columnar database? 2. Can power bi do unstructured data? 4. Can it work with in-memory engines such as spark? Wow Rajesh, tough questions. I’m not sure I can give you a good answer. 1. I think Power Pivot is a form of in-memory analytics which happens to be a columnar database. I don’t know if all in-memory analytics use columnar databases or not. I was referred to yourself by Danielle Fairhurst as the go-to all powerful PowerBI expert!! Coming to you from a place of looking into BI solutions for the company I work for and comparing PowerBI and Tableau. Big user of excel and have a few data sources to link to a BI solution – namely through Odata and SQL servers. I also don’t know DAX or any other coding language. Have you done an article before about PowerBI vs Tableau and what you believe the benefits are? Have played with PowerBI for a few months and can see potential but also big flaws. Would much like to hear your opinion on the matter (though possibly semi-biased). Ease of use – integration – implementation – ability for highly adaptable reporting/dashboard creation etc. I don’t know Tableau well and hence I am not qualified to compare (unfortunately). Maybe you are better placed to comment. I would be keen to hear what you see as the big flaws, as maybe all is not what is seems. I may not know a Tableau, but I know a thoroughbred horse when I see one. This Power BI horse may not be the best at visualisations today, but I am still backing it as the best investment and most likely to win within the lifetime of any new Bi project. JMO of course.